Machine learning software and artificial intelligence have come a long way since their inception – and is only continuing to intensify. Taking over many industries, AI is swiftly changing the way professionals go about their business. So, what does this mean for marketing? Artificial intelligence (AI) has come a long way since its inception. The rise in AI-powered marketing is taking the load off many marketers, and delegating to machines, allowing marketers to refocus their efforts onto marketing that matters and giving marketers more time to address any challenges that come their way. As we have begun teaching machines how to understand humans, AI is learning and evolving, and with that, so are marketers’ abilities to develop highly insightful campaigns. In today's digital market, consumers have developed high expectations for a more personalized experience. Marketers need to up their game, improve interactions and deliver on new needs and desires, or risk losing leads to the competition. Marketers need to deliver the right message, to the right customer, at the right time – and they can accomplish this with customer segmentation. AI technology enables marketers to separate their customers into distinct personas and understand exactly what motivates them. With this information in mind, marketers are able to focus on the specific needs of their audience and creating a long-lasting relationship with the brand. Marketers spend countless hours attempting to gain some insight into their target audience, as they know consumer insights are the key to more strategic marketing campaigns. In the past, the availability of quality data was lacking and fueled mostly by demographics. Now, we’re entering an era of robust AI data analytics, that open the doors for marketers to fully understand their audience on a deeper level. Of course, like most things in life, AI isn’t 100 percent foolproof. However, AI predictive analytics aim to make the most accurate predictions by analyzing past and present customer behavior patterns. Using the data gathered, marketers can incorporate insights into their marketing efforts to create an optimized and targeted campaign. Teaming up with agencies such as Ayzenberg, for example, enables marketers to tap into the power of AI to obtain these deeper insights. Ayzenberg is an agency that is driven by data. They understand that in this technological era, data surrounds us and that it should be harnessed into accurate insights on consumers, to ensure that marketers always stay on top of ever-changing needs and desires. Every marketer understands that effective marketing is an ongoing enigma. With consumers needs and expectations changing constantly, it’s difficult for any seasoned marketer to stay in the loop of current insights. However, AI-driven technology is set to revolutionize marketing, by presenting marketers with a vast amount of quality data at scale, through the use of deep learning. Deep learning doesn’t require any human operators to command or analyze outputs, and works on a trial-and-error basis. These algorithms are able to pick up detailed information by mimicking activities of the human brain. Therefore, marketers are able to use deep learning to understand, anticipate, analyze and act faster to develop smarter campaigns and preserve their time for more demanding tasks. As mentioned earlier, the demand for personalized service has increased, and brands that don’t meet customer expectations will be coming up short – as everyone knows a dissatisfied customer won’t return. A great way to customize and deliver great customer service is investing in AI chatbots. These virtual assistants can help build stronger relationships and interactions with customers in a cheap, efficient and consistent manner. They use AI to track and predict user behavior, and with this information, they can implement stronger keywords and personalize customer interactions to make each customer’s journey unique to them. Intelligent conversational chatbots, can rapidly and immediately tackle issues as they come. 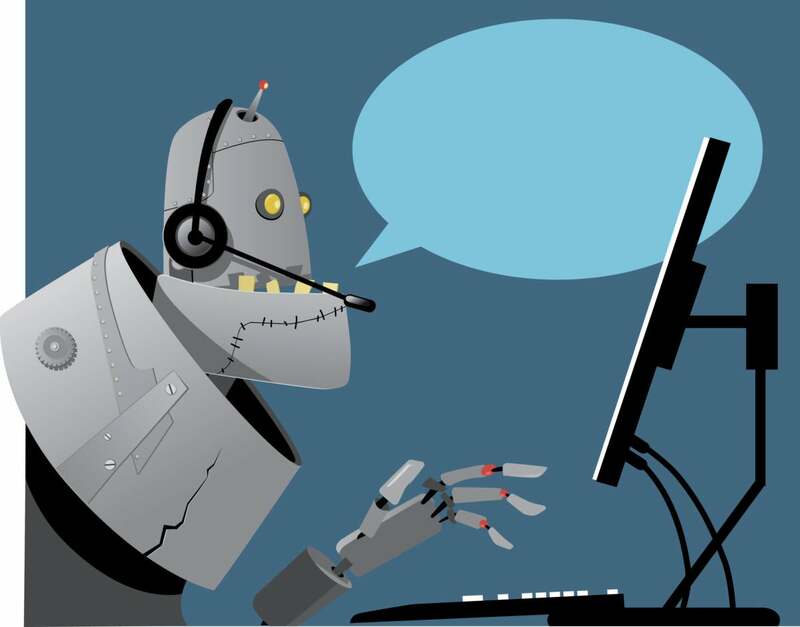 Unlike humans, chatbot works around the clock to deliver strong interactions and improved customer service whenever issues arise. Take a look at this list of chatbots, that are revolutionizing the way we do business. Wherever marketers choose to implement AI, they all realize that artificial intelligence technology is reshaping marketing as we know it and affecting various aspects of business. Since this technology is continuously developing and expanding, AI should be a top priority investment for businesses that wish to succeed in the competitive market. Those who fail to do so, will be left behind.